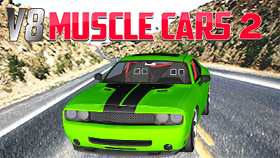 You love Car Racing games? Well then, let’s pack up you pack and get straight to the game world of City Rider 3D. Just like the other Car racing games, City Rider 3D brings you the similar gameplay but with City Rider 3D, you will control a car and try your best to explore the city where you are in. The game world of City Rider 3D is bigger than any other game world you have ever seen. Things appear in the game like buildings, roads, lights look so real that you may think you are riding a car in real life. If you are a real explorer, you will love to find yourself peace while invading the beautiful and realistic game world of City Rider 3D. The game is well-designed with HTML 5, which helps you to play the game on any modern web browser. The controlling system of your car will be appearing right on the screen to help you manage controlling the car easier. There are more than one type of cars for you to choose your favorite. Everything is in your hand when you get to play City Rider 3D, what makes you hesitate? Press O and P to change car. Press WASD or arrow keys in order to drive. Press B to toggle car setup. Press Space bar to handbrake. In case you don’t know which car to choose and fit you the best, try to see the walkthrough video for more clues of the game. First time playing the game will take you time to download the game data, so stay tune until you are able to explore the great game world of City Rider 3D. Since City Rider 3D gas millions of fans around the world, the unblocked version of the game is now available on FReegames66.com to satisfy the fan base. Let’s get to Freegames66.com to try the better version of the game right now!